George F. Allen, J.D. has served the Commonwealth of Virginia for more than 20 years, as governor, in both bodies of the United States Congress, and as a delegate holding Thomas Jefferson’s seat in the Virginia General Assembly. 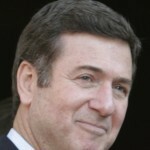 He is president of George Allen Strategies, LLC and serves on the boards of directors of several technology companies, including Lee Technologies, nanoTox, and the Hillsdale Group. 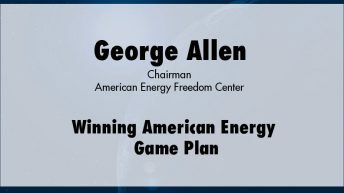 Allen is founder and chairman of the American Energy Freedom Center.